As the world’s largest importer of food, beverage and agricultural produce (F&B) China is the most important market for any Australian exporter. Trade between Australia and China in 2017 reached a record high, with more export growth in F&B than any other industry. Demand for Australian produce is being propelled by a rapidly increasing middle-class that have rising disposable incomes, and this is compounded by a growing awareness among Chinese consumers for healthy and safe products for which Australia is well placed to supply. But what’s next for exporters of Australian F&B in 2019? Tension between the US and China has created uncertainty in global trade, and some previous concessions offered to the US by China were aimed at F&B. 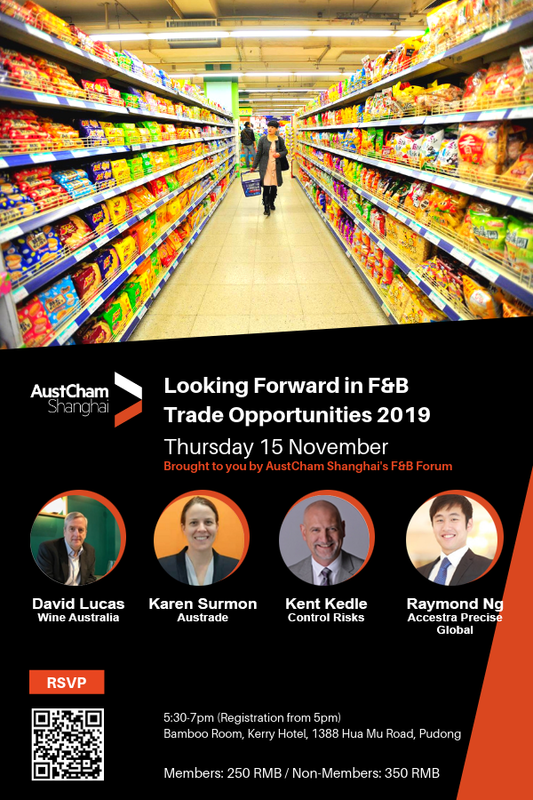 On the other hand, the China-Australia Free Trade Agreement (ChAFTA) will see many significant tariffs on Australian produce eliminated in 2019, creating unprecedented opportunities and access for Australian exporters in F&B. Join us and our panel of experts as we discuss what’s next for F&B in 2019. 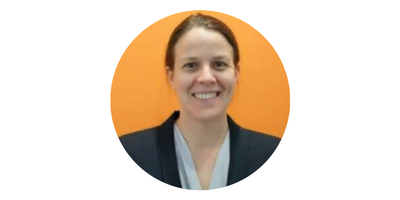 Karen moved to Shanghai as Trade Commissioner with the Australian Trade and Investment Commission (Austrade) in August 2014. She has worked in a number of national industry lead roles including Infrastructure, Advanced Manufacturing and Innovation, and is currently national lead for the Food, Beverage & Consumer team. Prior to relocating to China, Karen was Austrade’s State Director for South Australia, based in the Adelaide office. Karen has spent over twelve years living and working in China and Singapore. Previous positions include Brand and Communications Manager with China’s largest wine importer and distributor, and Associate with Beijing Consulting Group, where she was co-founder of the Australia China Alumni Association. Karen has also worked extensively in the education sector, holding a number of roles in international relations, student recruitment, alumni and business development at the University of South Australia. A fluent Mandarin speaker, her qualifications include Mandarin language certificates from the Beijing University of International Business and Economics (2004) and Beijing Second Foreign Languages Institute (1996), both achieved under scholarships from the Australia China Council. 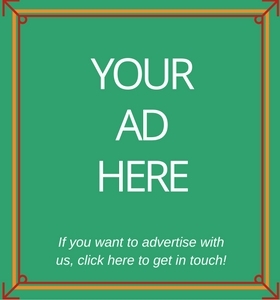 She has a Graduate Certificate in International Marketing from the University of South Australia and a Bachelor of International Business from Flinders University. Kent is responsible for Control Risks’ practices across mainland China, Hong Kong, Macau, Taiwan, the Koreas and Mongolia. He has worked in Asia since the early 1980s. Kent has consulted with multi-national and Asian corporations on a range of risk and strategy issues, such as M&A and organic growth strategy, crisis management and operational business controls, and strategic and organizational development programs. Kent has particular expertise in the Asia-Pacific healthcare, food and beverage, and consumer products sectors. Formerly, Kent was responsible for the Compliance, Forensics and Intelligence practice throughout Asia-Pacific. 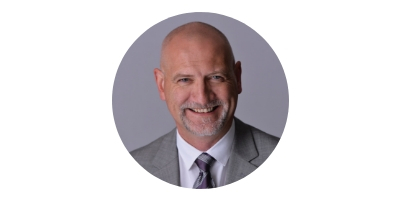 Prior to joining Control Risks, Kent was general manager and co-owner of Technomic Asia, a market strategy consulting firm. Kent has worked as a journalist and is a frequent contributor to Asia-based media outlets. The co-author of The China Ready Company (2006, China Pathways) he writes and produces The Talking Monkey, a blog and podcast on living as a foreigner in China. David Lucas is Wine Australia's recently appointed Regional General Manager, China. He has spent the past 20 years in Asia and has significant experience within the wine and spirits categories across North Asia. David has udertaken multiple roles for ASC Fine Wines, one of the largest importers and distributors of Australian wines in China, including Vice President Sales, and thus has a deep understanding of Chinese channel management. Prior to ASC Fine Wines, David spent many years at Bacardi and Allied Domecq developing spirits markets. David leads the Wine Australia team in China, endeavouring to create opportunities for Australian wineries and brands and strengthen the growth and popularity of Australian wine market. 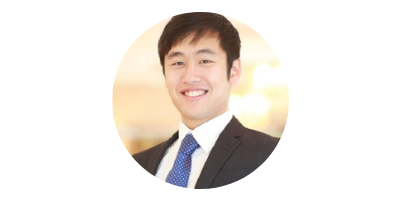 Mr. Raymond Ng (Msc, BA) is a Senior Regulatory Affairs Manager at Accestra Precise Global with Master’s degree from University of Nottingham and has extensive expertise on Chinese Food & Beverages, Cosmetics, Chemical & Feed Additives (incl. pet food) import & export regulations. 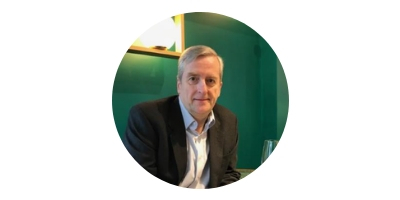 Formerly, Raymond was Senior Business Development Manager at Chemlinked, REACH24H for many years, with a successful track record for supporting global businesses with China product registrations, certification approvals and providing strategic regulatory and market access advisory. His research specialises in China’s governmental policies and China National Standards and how changes in Chinese regulations impact on international trade and businesses. Raymond works closely with multiple stakeholders including advising and solving market access requirements for global businesses, close communications with Chinese authorities including Customs Inspection and others departments; working with international governmental trade bodies and associations to support and promote exports and facilitate smoother market entry.